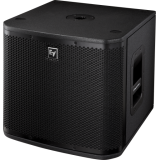 The compact, lightweight ZLX-12P was designed to give you power and performance beyond the scope of .. 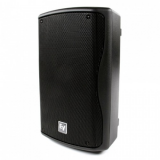 The ZLX-15 gives you the confidence of the industry’s most trusted components – engineered to exacti.. Extend your low-end with this portable powerhouse. 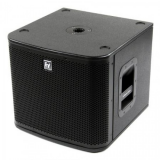 Whether used on its own or with a sub, the ZLX-15.. 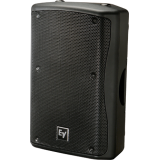 Smooth, wide frequency response Ideal for mains, fills, or monitors Velocity-compensated port.. 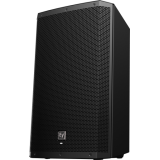 The new ZX1-Sub is optimized for performance with a variety of EV loudspeakers, including ZX1, EVID,..
Patented ASC (Automatic Saturation Compensation) Also available in 70/100 volt transformer vers..
Versatile performance for mains, fills, or monitors DVX3121A woofer with forced-air cooling 2..
Electro-Voice engineers have raised the bar for portable sound once again, adding to the award-winni.. Extending the ZXA1’s size-defying performance and sleek styling into the low-end realm, the ZXA1-Sub..